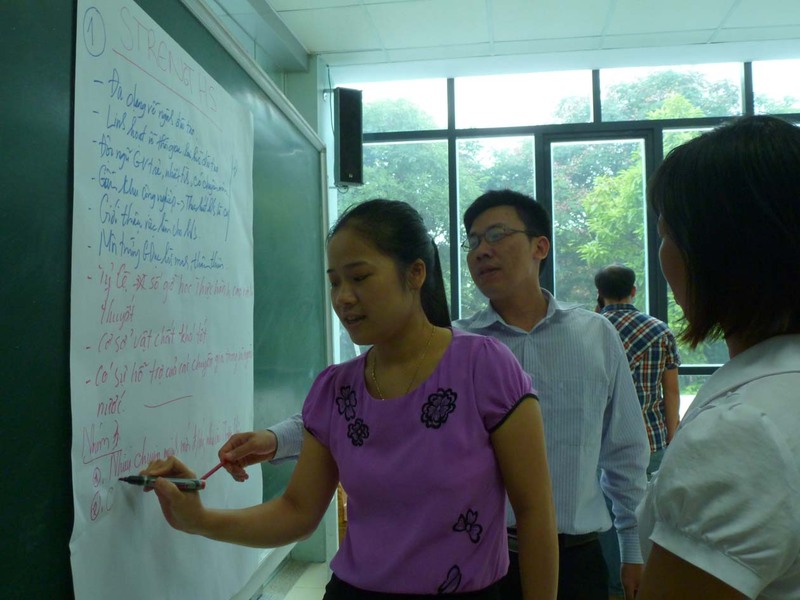 Last week my colleague Ashley Laracy and I gave a Strengths/Weaknesses/Opportunities/Threats (SWOT) workshop at Bac Thang Long college in Hanoi. We compared some of the findings another volunteer did in 2013 with the findings of my recent stakeholder interviews. For the past few weeks I’ve been speaking with deans, teachers, students, alumni and enterprise partners to find out how they view the college. I’ll be using this info to polish up the website and also for promotional purpuses. Bac Thang Long college is quite concerned right now about enrollment. There has been a recent government change in courses at colleges. Previously, people who failed the university entrance exams could take a one-year college course and then transfer into university. No longer. Now students have to complete a 2-year college course or simply work for three years before they can retry their university exams. 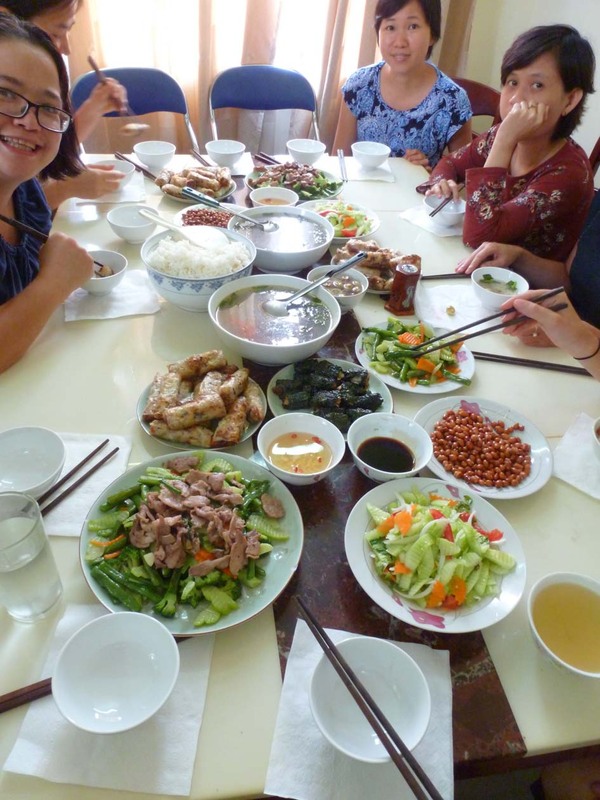 This means Bac Thang Long is going to lose about 30 per cent of its enrollment since people will like just opt for working and saving up money before they try again. As an outside observer I know there are many layers to the problemic onion which I am not party to. However, I was able to share what I found with the teachers and other staff at the workshop. • Class schedules for workers. 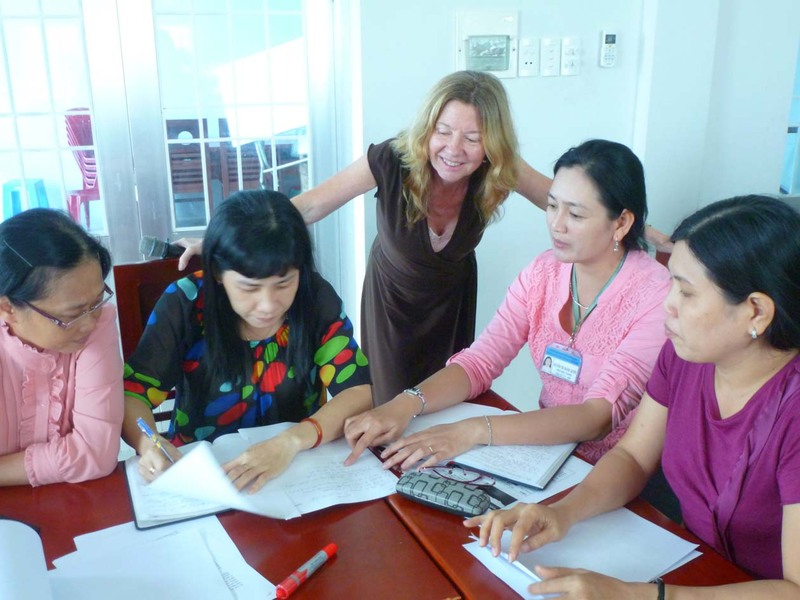 • Regular pedagogy upgrading from international partner WUSC. • Practical experience for students (Guest experts, field trips, internships). • Student services, financial assistance, career counseling, job placement. • Partnerships with enterprises – internships/job placements. • Courses tailored to needs of enterprise partners. • Infrastructure – library access, access to computers/equipment. • 3-year training for middle school graduates. • Extra-curricular activities (dancing, soccer). • College/teachers stay connected to alumni. • No foreign language capacity training. • Soft skill training needs expanding. • Due to govt changes transfer program now obsolete. • Not enough majors for middle-school student program. • Criteria of BTL does not match criteria of partner (bank). • Limited technology and equipment. • Not up to date on some technology needs of enterprises. • A large pool of students that partner can profit from (bank). • BTL events provide exposure for partner products (bank). • BTL provides opportunity for partner to build goodwill in community (bank-scholarships). 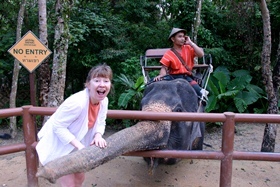 • BTL provides opportunity to tap volunteer labour. 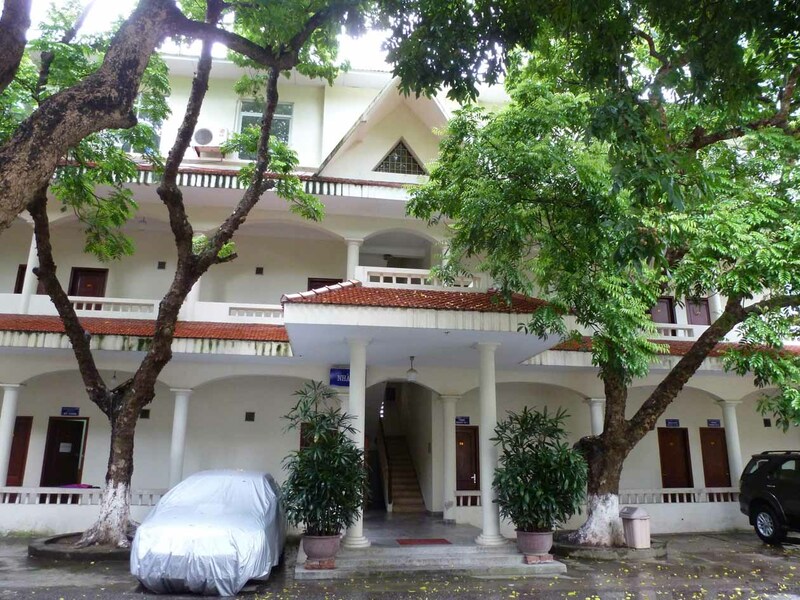 • Grads are large labour pool for Thang Long Park and 32 other parks (1,000 enterprises). 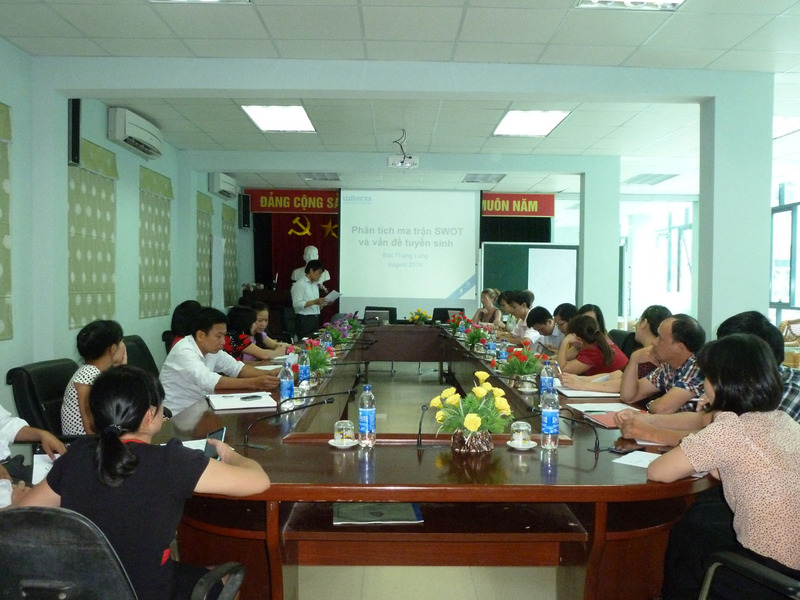 • Guest lectures from enterprise staff that prepare students for reality of workplace. • Hard working, enthusiastic, disciplined students. • Quick respond to suggestions for new, or improved, courses. Stays current with changes in the field (supermarkets). • College staff stay connected with enterprises, post positions regularly. • More loyalty with grad hires vs university grads. • School relies on enterprises to provide equipment, this causes worry for enterprises and slows them down. • BTL does not stay up to date on emerging needs of some enterprises. For instance electronics manufacturers and the making of touch screens. • Cannot adapt to change in electronics field quickly. 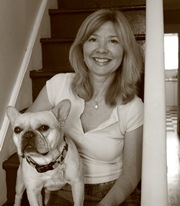 • Students need more communication skills, especially those with local accents (call centre). The participants then came up with their own solutions and wrote them on a flip chart which is currently being translated. I’ll share those findings when I get them. Not sure the goal was really understood, so we’ll see what they came up with. 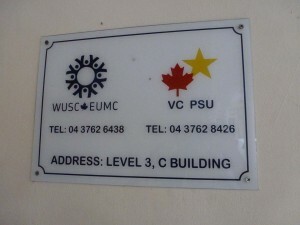 Outside the WUSC office in Hanoi. 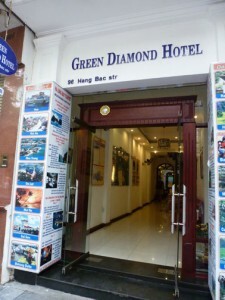 The walk from the cool Hanoi airport into a waiting cab was the first warning. It was 37C with 85% humidity. Hanoi in July is not for the faint of heart. I’ve been here five days now and am slowly getting used to the hot, wet blanket that envelops me as soon as I walk out of my hotel—at 7am. But before I get into the details of my experience in this amazing city, I should let you know why I’m here. WUSC works with eight colleges throughout the country. 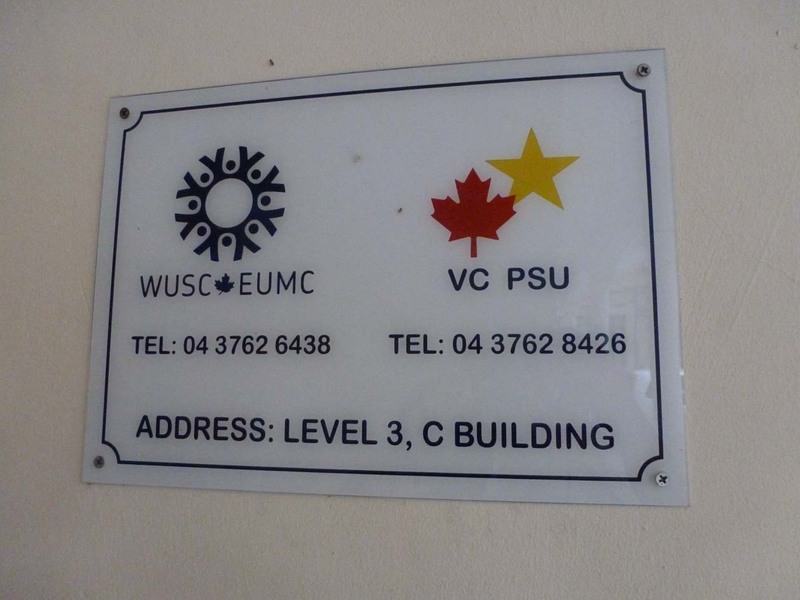 A short while ago I was selected by the World University Service of Canada (WUSC) to go to Vietnam for a nine-month mandate. 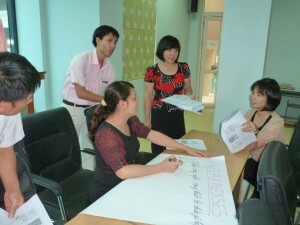 My role is communications/marketing advisor for the North Thang Long Economic Technical College, also known as BTL. 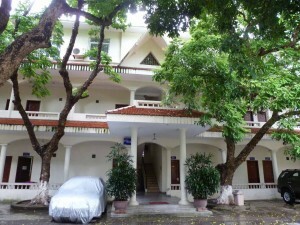 (the college’s name in Vietnamese is Bac Thang Long). I’m part of WUSC’s and the Centre for International Studies and Cooperation’s (CECI) Uniterra Program, which recruits Canadians to work in partnership with local organizations to help reduce poverty and inequality through education. My mandate is part of the Private Economic Development sector and the project is known as Skills Training for Labour Market. WUSC volunteers are in eight colleges throughout the country and roles include gender equity officers, IT, communications and administrative support. My job is to help improve BTL’s reach within the country and to use marketing and promotional tools to increase enrollment. BTL has three main faculties, engineering/info technology, accounting/finance and tourism/commerce. There are 5,000 students currently enrolled in the 10-year-old college, many are part-time shift workers in the nearby industrial park who hope to improve their skill set and create a better career future for themselves. The amazing lunches at the WUSC office. 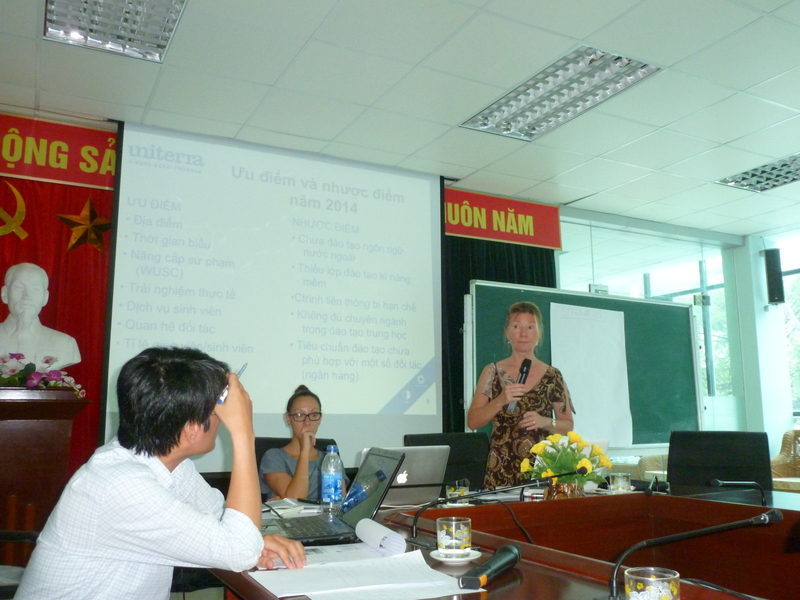 My first week in Hanoi has been spent getting in-country training at the downtown WUSC office. 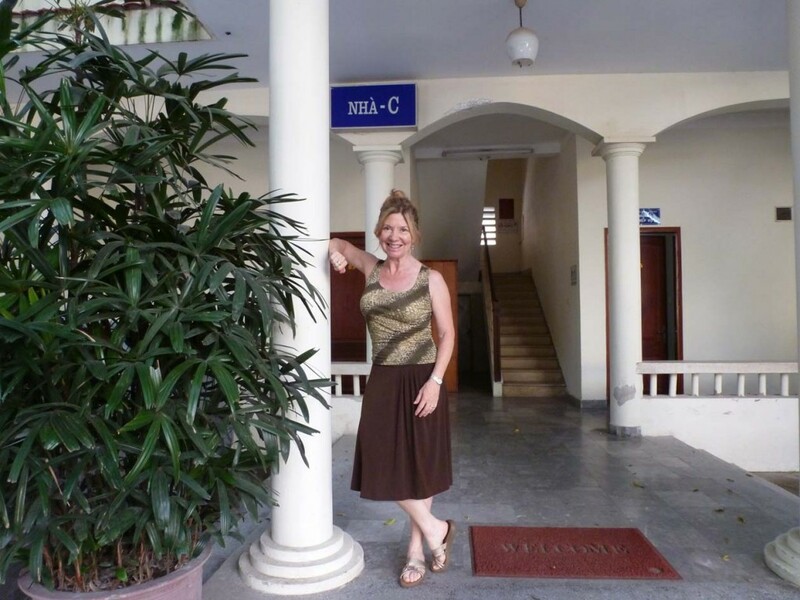 Not only have I received background on BTL, but info on Vietnamese culture and even some language lessons. One of the highlights of each day has been lunch, cooked up by one of the very talented local WUSC staff members. Tips for surviving the heat? Drink lots of water, stay out of the sun, and take naps. I know it won’t last. Apparently it gets down to single digits in the winter. This has been one heck of a trip to pack for!